Prolotherapy Calgary: The most up-to-date treatments of sports injuries and arthritis. Action Sports Clinic: By using the most up-to-date treatment methods, and an industry leading-ultrasound machine to specifically target your injured tissues and joints, you can rest assured that you are receiving the highest level of care. 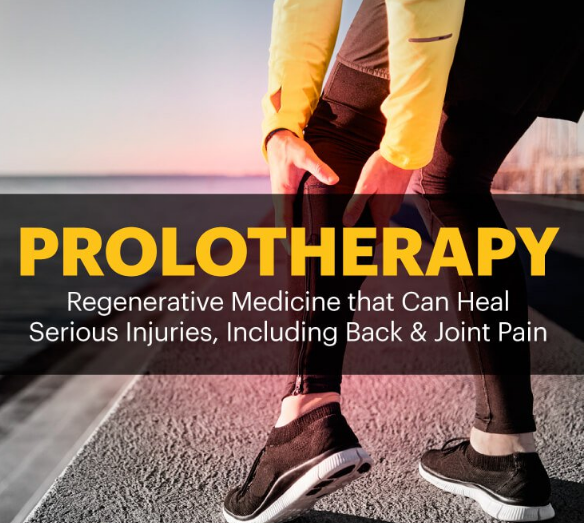 Prolotherapy is a cutting edge form of regenerative sports medicine that is leading the way in treatment of acute and chronic injuries. It is also used to resolve difficult joint pain. Prolotherapy is a treatment for weak, torn or painful ligaments and tendons. It involves injecting anesthetic and glucose into those ligaments or tendons. It immediately stimulates healing of weak ligaments or tendons, and this healing occurs over the coming months. These injections are repeated for several visits about 1 month apart, each visit building on the last, anywhere from 2 – 6 times. Payment is not provided by Alberta Health Care, and is rarely covered under private insurance plans. The cost for a brief treatment session is $150, a regular treatment session is $350, and an extended treatment session is $500*. Several other treatment options are also available, please visit our Sports Medicine page to learn more.